Thanks to Ms Labii who passed me her pair of premiere tickets, I was able to catch this highly anticipated blockbuster movie last night over at TGV KLCC. The premiere was given by P1, Nuffnang, and Churp-Churp. Trust me, the movie did not disappoint, it was as action packed, and explosive as I had anticipated it to be. Read more below. As per the norm, before any movie premiere, I'm sure to meet up with some fellow bloggers. This time around I had the chance to get to meet up with a few bloggers for the first time. This premiere screening was slightly different as it was sponsored by P1, and they even had a prize giving session before the start of the movie. Unfortunately, I didn't get any. Anyway check out some of the pictures we took before the show, below. And of course, a group picture of us..
Coming back to the movie, Fast & Furious 5 lives up to its namesake, and to me I rate it the best among the series due to the amount of destruction, stars, and action involved. 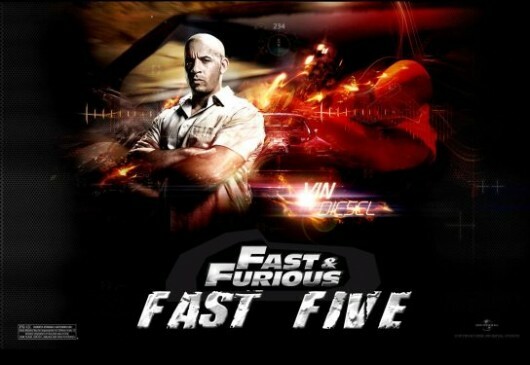 The movie picks off where the fourth installment left off, where former cop Brian O' Conner (Paul Walker) helps to free Dominic Toretto (Vin Diesel) from a bus transporting him to prison. The next scene lands all of us in South America, Rio de Janeiro Brazil to be exact. 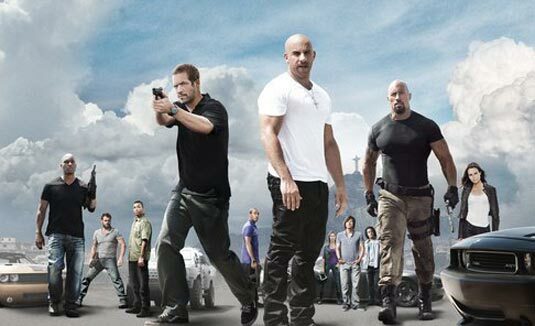 We have previous casts from past Fast & Furious teaming up again to do a job against this drug lord who was controlling the poor citizens via his drug trade. Things get interesting when the corrupt police calls in federal agent Luke Hobbs (Dwayne Johnson "The Rock") in their attempt to stop our heroes. 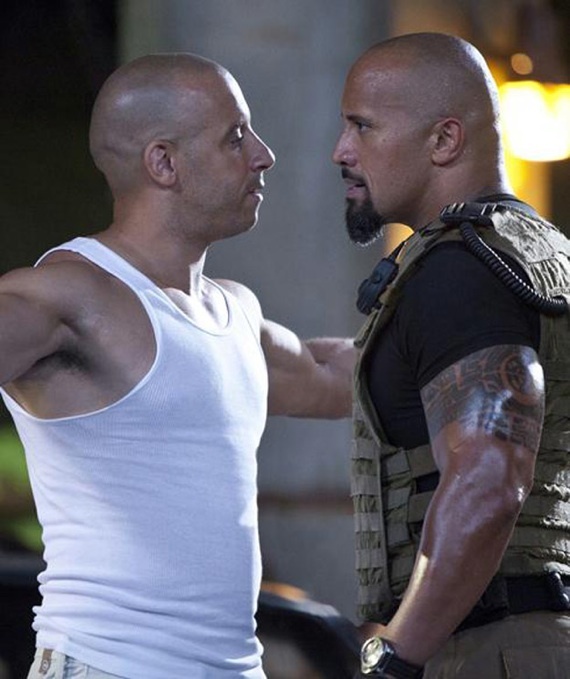 I just love the scenes when Hobbs and Dominic collide, it's like two huge wrestlers facing off agaisnt each other. The action was fast and furious with numerous cars getting smashed up, buildings getting torn down and streets getting filled with mortar and debris as our team headed by Dominic proceeds to drag this huge vault around town smashing into everything in its path! The best part was everywhere there were these super cool supercharged cars, not forgetting pretty ladies to boot! Overall, it was an exceptionally good movie, one that I won't mind watching again if given a chance. Catch it when its out in the cinemas and I assure you, it will ROCK your SOCKS! Check out the trailer below. it seems like RIO is EVERYWHERE now! I wanna go RIO!!! I envy... I too want to get some premier ticket! Next time if you know something that I dont know, please do let me know... haha I long for premier ticket! The Rock...rocks! :D He is so beefed up for this movie huh! 5 already? All know about Fast and Furious - the Terrayaki Boys! LOL!!! fuyoo mcm best ni..must go n watch tis!!! hi isaac, best tsk cerita ni kalau star u bg berapa dr 5 bintang u kasi berapa?..hehehee..nnt nk g tgk so nk tanya dulu..
Dominic and rock, cool stuff man! wow..another movie review! u r really good..i must give u something to write on later..